Women are the big winners in the race to solve sleep disorders. [HEALTH NEWS] Years of clinical trials have come together to produce technology that’s helping sufferers of sleep problems, like the potentially fatal Obstructive Sleep Apnoea (OSA). The results of four separate trials with more than 90 patients were presented in Brisbane on Thursday (October 18) at Sleep DownUnder, the 30th annual meeting of sleep specialists from October 17-20. One of these studies showed a surprise finding that women were more likely to not need CPAP than men. Continuous Positive Air Pressure (CPAP) is the traditional and first-line treatment for severe OSA. However, most people stop using it because of the impact it has on their lives. Women make up one-third of OSA sufferers. Two other studies showed patients that suffer from nasal obstruction, the most difficult to treat, were the winners. A fourth study confirmed a new treatment, oral EPAP*, dramatically increased the effectiveness of mouth guards, used to treat the majority of OSA treat patients. Combined, these studies by Brisbane based Oventus Medical show more than three quarters of patients can be treated without CPAP. 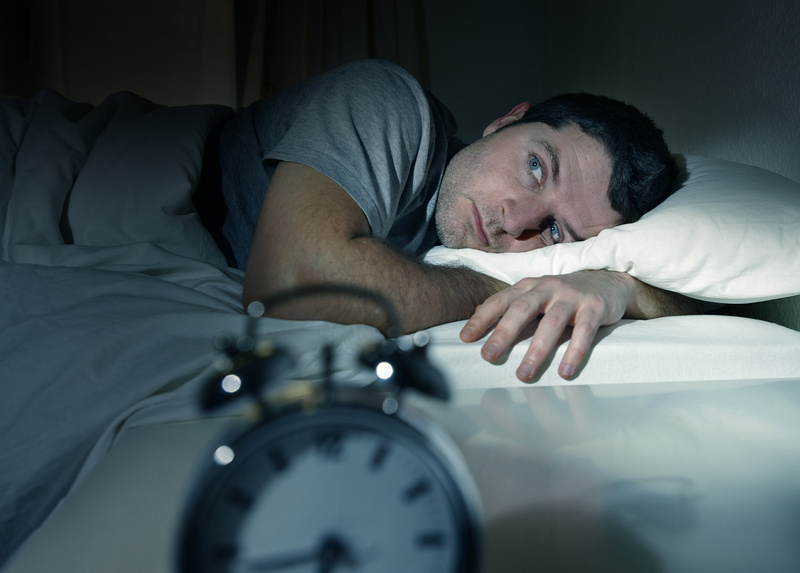 The sleep crisis affecting Australia is so serious the Federal Government last month announced an inquiry into sleep health. A Deloitte Access Economics report found about 7.4 million Australians didn’t get enough sleep, poor sleep costs $66 billion a year and lack of sleep killed more than 3,000 people in 2016-17. Founded by sleep specialist Dr Chris Hart, Oventus Medical is changing the way OSA is treated. Its patented ‘Oventus Airway Technology’ (OAT) is radically helping patients’ sleep. “We have seen a dramatic improvement in our patients in clinical trials,” he said. Oral devices, like those developed by Oventus, traditionally help approximately half of all OSA sufferers but with Oventus’ new treatment platform and product range that includes an in-built airway, more than three quarters can be successfully treated without CPAP and 100% without the full facemask. Oventus devices effectively cure snoring in most patients and have brought some relief to many thousands of sufferers of mild to moderate OSA. The O2 VentTM devices have been available in Australia for more than two years. The first of the new treatments, ‘Oventus ExVentTM, is expected to be available by the end of the year in Australia and early 2019 in North America. Sleep DownUnder is an initiative of Australia’s peak national sleep health organisations, the Sleep Health Foundation and the Australasian Sleep Association. Oventus is a Brisbane based medical device company that is commercialising a suite of oral appliances for the treatment of sleep apnoea and snoring. Unlike other oral appliances, the Oventus devices have a unique and patented airway within the device that delivers air to the back of the mouth whilst alleviating multiple sites of obstruction including the nose, soft palate and tongue. They are particularly designed for the many people that have nasal obstructions and consequently tend to mainly breathe through their mouth. While it may seem counterintuitive, the device actually prevents oral breathing. The O2VentTM is designed to allow nasal breathing when the nose is unobstructed, but when obstruction is present; breathing is supplemented via the airways in the appliance. According to a report published by the Sleep Health Foundation Australia, an estimated 1.5 million Australians suffer with sleep disorders and more than half of these suffer with obstructive sleep apnea. Continuous positive airway pressure (CPAP) is the most definitive medical therapy for obstructive sleep apnoea, OSA, however many patients have difficulty tolerating CPAP. Oral appliances have emerged as an alternative to CPAP for obstructive sleep apnoea treatment. 1. Deloitte Access Economics. Reawakening Australia: the economic cost of sleep disorders in Australia, 2010. Canberra, Australia. 3. Sutherland et al. Oral appliance treatment for obstructive sleep apnoea: An updated Journal of Clinical Sleep Medicine. February 2014. * Expiratory Positive Airway Pressure (EPAP) is a treatment for obstructive sleep apnoea and snoring.